Last weekend hubs and I took a mini vacay to Palm Springs and stayed at The Parker. If you’re not familiar with The Parker, it has these crazy secret garden-like gounds that have tons of citrus trees. The groundskeepers there let me pick a few grapefruits to take home, so naturally I made cocktails with them. One of my favorite cocktails to make with grapefruits is the Paloma. 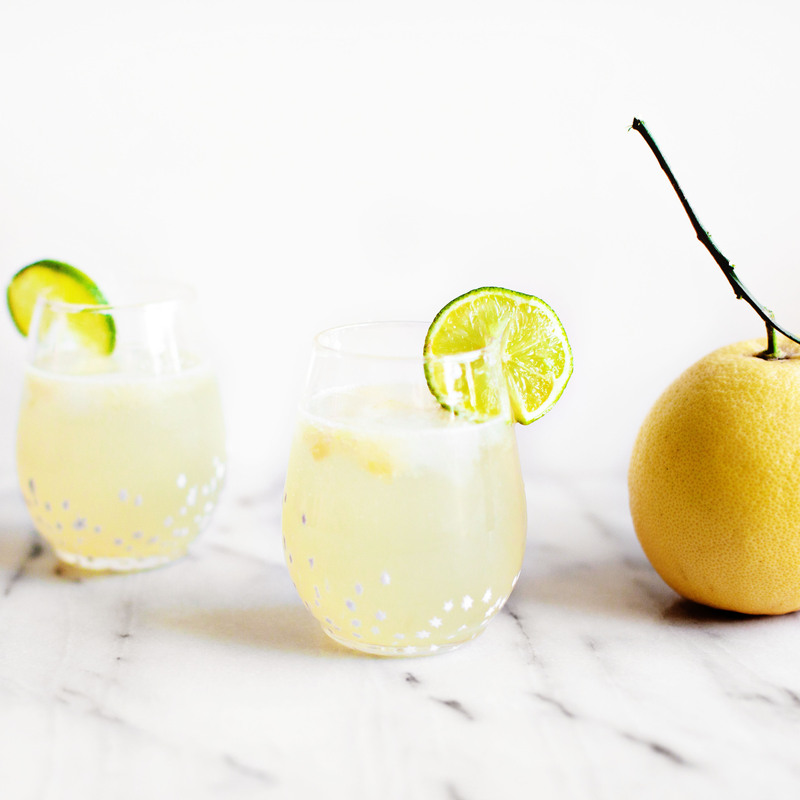 Palomas are basically like margaritas made with grapefruits instead of limes or lemons. They’re made with tequila so they get your buzzed really quick and grapefruit tastes really refreshing with the right amount of bitterness. The recipe I use is easy to remember because it’s all pretty much equal parts. Combine juices and sugar and mix well. Add tequila. Fill glass with ice and top with club soda. Serve with a wedge of lime or grapefruit and a salted glass rim.